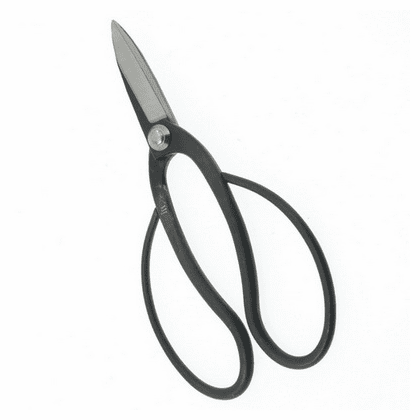 Bonsai Ikebana Shears "Mini Ohkubo"
Home | Bonsai & Ikebana Tools | Bonsai Tools | Bonsai Ikebana Shears "Mini Ohkubo"
Metal Bonsai shears are perfect for grooming Bonsai plants and other indoor and outdoor plants. The short blades are excellent for careful trimming of smaller branches. 7-1/2" long, 3-1/2" wide, carbon steel.